We have a couple different playoff opportunities for club members. Follow the link at the bottom of the page to enter. 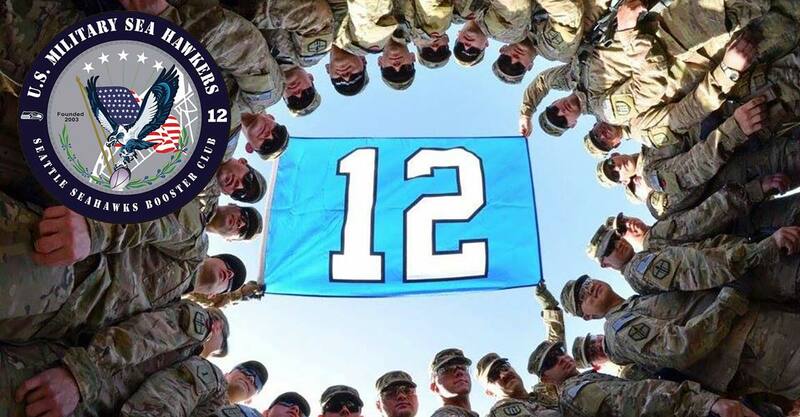 The Seahawks are giving away two tickets to a member of the Military Sea Hawkers. The only catch is that you have to be in Renton at 11am on Friday to accept the tickets. For a member coming in from out-of-state who already has tickets, our club would like to select someone for a special opportunity. If you don’t fall into either category and would like to purchase two tickets through the club at face value (will be very limited), please select the third option on the survey. Tickets are $300 for the pair and we can arrange for bank transfer or PayPal (may include extra fees). Please include (in 1,000 characters or less) why you should be selected. Deadline for entry is 12pm PST, Wednesday, December 31. GO HAWKS!! Entry deadline has passed. Thanks to all who submitted an entry!